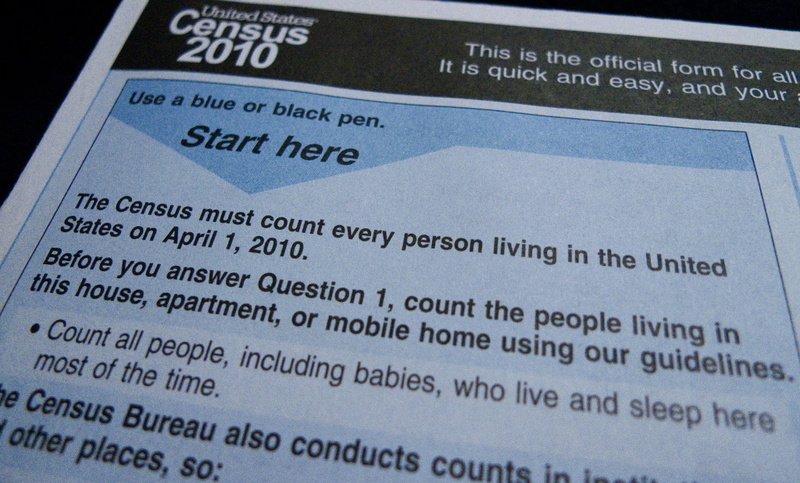 FILE: The official U.S. Census Bureau form pictured on March 18, 2010 in Washington, D.C.
With fewer than three years to go before the once-a-decade national population count, census and civil rights advocates are reiterating concerns that an underfunded 2020 population count could hurt California. The U.S. Census Bureau has already abandoned certain field tests because of the tight funding. In October, the bureau announced that it was canceling tests in Puerto Rico and on Native American reservation land in the Dakotas and Washington state. Census supporters say the Trump administration’s proposed budget does not allocate enough funding to carry out an effective survey in 2020. They say limited funds and staff could lead to an undercount. And in California, the nation’s most populous state, that could spell problems. "The data is used to trigger about $350 billion in federal aid to state and local governments, of which California gets about $75 billion a year," said Phil Sparks with The Census Project, a census advocacy group based in Washington, D.C. “If those figures are wrong, it means that California could be short-changed by billions of dollars each year." Sparks said federal funding to states and counties for programs like Medicaid, Medicare, transportation, Head Start early-childhood education and other child welfare efforts all depend on the census numbers. Some vulnerable populations are already difficult to count in a census, and could stand to further lose resources, said Arturo Vargas, executive director of the Los Angeles-based National Association of Latino Elected and Appointed Officials (NALEO) Educational Fund. Some people go uncounted because they move often, he said, or are reluctant to participate because they lack legal status. Another important consequence of the census that could be affected by any undercount is political representation: census figures are used to determine how many congressional seats are allotted to each state. "California has a big stake, both in terms of political power and also the money that flows from Washington to California," Sparks said. The Census Bureau could not be reached for immediate comment Thursday.